There’s a reason Rebecca Skloot’s nonfiction book The Immortal Life Of Henrietta Lacks spent six years on The New York Times bestseller list. It deftly tells an engrossing story of science, race, and family, Skloot’s first-person perspective carefully unpacking how one woman’s exploitation reverberates through her children 50 years later. This family’s mother, Henrietta Lacks, unwittingly provided the cells that led to a medical breakthrough in the ’50s: When she received cancer treatment at Johns Hopkins, the cervical cancer cells were found to be immortal, dividing themselves ceaselessly. For the first time, scientists could experiment on living cells without them dying. This miracle of science is told in a newsreel-type presentation that begins the movie. Filmed in black and white and set to jaunty, brassy music and Atlantic-accented news announcers, it appealingly brings to mind the opening act of Citizen Kane, laying out the facts of the story. Now all that’s needed is the main character’s motivation. Unfortunately for the film version of The Immortal Life Of Henrietta Lacks, little motivation is to be found. Lifted more or less accurately from the source material, the film follows Skloot (Rose Byrne)—a reporter in the typical young-and-hungry stage of her early career—to Virginia as she tracks down Henrietta’s children. She eventually forms an uneasy relationship with Deb (Oprah Winfrey), Henrietta’s daughter, a bustling chatterbox who goes from warm and confiding to suspicious and surly in the space of a breath. For the first third of the film, The Immortal Life toys with being a workmanlike procedural of journalism as we follow Skloot’s uncomfortable cold call to Deb and initial contact with the family, highlighting the intensely awkward situation of journalists ingratiating themselves with their subjects for a nebulous purpose (in this case, a book Skloot hopes to write about Henrietta that she doesn’t have a publisher for yet). But the initial promise of the film is quickly squandered, just like the sprightly opening newsreel act. As we spend more time with Skloot and Deb Lacks, the story skitters and scatters to touch on half a dozen themes without homing in on any of them: Skloot’s motivation for researching the story in the first place, amounting to little more than “I’m interested in it” in an early exposition dump; Deb’s search for meaning in her mother’s life; the Lacks family and the effects of racism and classism on its various members; childhood abuse; ethics in medical research; scientific institutions’ historical abuse of black populations; grappling with family legacy. Every family’s younger generation struggles with what came before; we hope that by uncovering information on the people who died before we got to know them we can uncover something about ourselves. The Immortal Life is too abridged and disorderly to reveal very much. The scattered nature of the plot isn’t helped by the general hokeyness of its execution. Each flashback to Henrietta (Renée Elise Goldsberry) is saturated in Instagram-warm filters, the sun-dappled ’50s-era sets unceasingly accompanied by children’s out-of-frame laughter. Henrietta’s hagiography robs her of any depth—she gets the stock treatment of dead characters seen in flashback, an angel who takes the time to appreciate her humble but fulfilling life as she stands under a beam of sun, a baby on her hip. In the present, on-the-nose music heightens the sense that the audience is supposed to feel something at various moments. A rap song plays as Skloot drives into a low-income neighborhood; trips to the country are scored repeatedly with the same song that contains the lyrics “going back to the country”; every sentimental moment hums with quiet guitar strums. Like Skloot and Deb, the film is searching for meaning. It tries over and over to pluck out revelatory and cathartic moments for the latter, who was robbed of her mother at a young age and who never understood why doctors from John Hopkins came to take her blood sample or exactly what it means that her mother’s cells are immortal. Director George C. Wolfe—whose experience comes mostly from Broadway and who has directed two other films, the similarly sappy You’re Not You and Nights In Rodanthe—doesn’t bring much flair to the script but does at least focus on his actors, who give their all to the spotty writing. Winfrey especially captivates in her portrayal of the deeply conflicted Deb, making her a compellingly messy person whose anxieties propel her to a kind of chaos rarely seen in this type of prestige project. Byrne does her best to bring her eager young reporter to life, but there’s the unavoidable nagging feeling that her character is little more than a tourist to the Lacks family’s suffering, dropping in to further exploit them for her own ends. 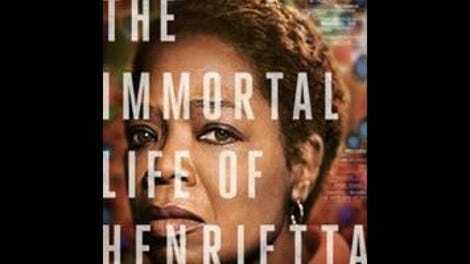 Unlike films that successfully make their weighty journalist endeavors action-packed—the film that sparked a thousand journalism majors All The President’s Men or the recent Oscar winner Spotlight—The Immortal Life Of Henrietta Lacks is too sentimental for its own good. It’s not really fair to compare a film to its original source material—books and movies are different mediums with different strengths—but it’s hard not to rue what’s lost in this version, which skimps over both the science and the relationships that form the heart of Skloot’s book. At least Winfrey’s performance brings Deb to boisterous, believable life.